kraeuter closed T26073: [Chart] Implement stacked bar charts as Resolved. kraeuter closed T26073: [Chart] Implement stacked bar charts, a subtask of T23104: Deprecate QmitkPlotWidget, as Resolved. kraeuter committed rMITK57032e84bba1: Merge branch 'T26073-ImplementStackedBarCharts' (authored by kraeuter). kraeuter committed rMITKe91753188373: Now keeps custom color when changing to stacked chart (authored by kraeuter). kraeuter committed rMITK0d3d474ec3b1: Added stacked bar charts (authored by kraeuter). kraeuter added a comment to T26073: [Chart] Implement stacked bar charts. kraeuter claimed T26073: [Chart] Implement stacked bar charts. kraeuter committed rMITK2ca090b32238: Merge branch 'master' of https://phabricator.mitk.org/source/mitk (authored by kraeuter). kraeuter committed rMITK6730c0884365: Merge branch 'T24388-HistogramWithCustomMaxMinValues' (authored by kraeuter). kraeuter committed rMITK286b776a140c: Merge branch 'T24388-HistogramWithCustomMaxMinValues' (authored by kraeuter). kraeuter committed rMITK8b5565f3720e: Renamed tabs, changed order of min/max spinboxes (authored by kraeuter). kraeuter closed T25918: [imageStatisticsCalculator] Rename StatisticsObject to ImageStatisticsObject as Resolved. kraeuter closed T25918: [imageStatisticsCalculator] Rename StatisticsObject to ImageStatisticsObject, a subtask of T25512: Restructure image statistics calculator, as Resolved. kraeuter committed rMITK4aaa99dff7d6: Changed names to fit purpose (authored by kraeuter). kraeuter committed rMITK972575530b26: Changed UI to fit spinboxes and a checkbox for input (authored by kraeuter). kraeuter committed rMITKcbc6386e4b47: Zooms in correctly now (authored by kraeuter). kraeuter committed rMITK4409ae4d1006: Added properties to zoom to the set values, doesnt work yet (authored by kraeuter). kraeuter committed rMITK11c152bb408d: Renamed to fit its use, spinbox values use image min and max values for… (authored by kraeuter). kraeuter committed rMITK5391bf7ccb47: Merge branch 'T25697-OptimizationOfMitkImageStatisticsCalculatorTest' (authored by kraeuter). kraeuter committed rMITK5e9a2b33b0a3: Fixed naming issue (authored by kraeuter). kraeuter committed rMITKf29b6e694d1a: Merge branch 'T25697-OptimizationOfMitkImageStatisticsCalculatorTest' (authored by kraeuter). kraeuter committed rMDa9fb22a513f2: Added missing ImageStatisticsTestImage (authored by kraeuter). kraeuter committed rMDf7ebcbcec44f: Merge branch 'T26009-NewImagesForImageStatisticsCalculatorTest' (authored by kraeuter). kraeuter committed rMDc73b644cec21: Merge branch 'T26009-NewImagesForImageStatisticsCalculatorTest' (authored by kraeuter). kraeuter committed rMD26f2475925f2: Merge branch 'master' of https://phabricator.mitk.org/source/mitkdata (authored by kraeuter). kraeuter committed rMITK7df3466c4618: Merge branch 'T25918-RenameStatisticsObject' (authored by kraeuter). kraeuter committed rMITK7d0523d0f21a: Merge branch 'T26072-AddCustomColorToChartWidget' (authored by kraeuter). kraeuter committed rMITK2453950820b1: Merge branch 'master' of https://phabricator.mitk.org/source/mitk (authored by kraeuter). kraeuter committed rMITK07b263e3488f: Merge branch 'master' of https://phabricator.mitk.org/source/mitk (authored by kraeuter). kraeuter claimed T26072: Color doesn´t work on anything but Line. kraeuter committed rMITK243096fd5922: Changes color accordingly in all chart types but bar (authored by kraeuter). kraeuter committed rMITKc8b79109c683: Now changes color in all chart types (authored by kraeuter). kraeuter added a comment to T26072: Color doesn´t work on anything but Line. kraeuter committed rMITK50357c27af30: Renamed ImageStatisticsCOntainer::StatisticsObject to ImageStatisticsContainer… (authored by kraeuter). kraeuter committed rMITK95ea6ade61c8: Merge branch 'master' of https://phabricator.mitk.org/source/mitk (authored by kraeuter). kraeuter committed rMITK6b04030d005c: Show colors correctly in all charttypes but bar (authored by kraeuter). kraeuter added a comment to T25918: [imageStatisticsCalculator] Rename StatisticsObject to ImageStatisticsObject. kraeuter committed rMITK1329288593ed: Changed US4D test with 3D mask to better fit criteria (authored by kraeuter). kraeuter committed rMITK468b33d2b5fb: Removed debug messages (authored by kraeuter). kraeuter committed rMITK0e11f0aac0ef: Deleted unnecessary code (authored by kraeuter). kraeuter committed rMITK2848e76d537c: Added new median values for 100 bins instead of ten (authored by kraeuter). kraeuter committed rMITKdeca77894e98: Now uses only one function of computeStatistics but needs new median value (authored by kraeuter). kraeuter committed rMITK513797e0e164: Changed indextype name, implemented new tests (authored by kraeuter). kraeuter committed rMITK27a095954d52: Added comments, new tests (authored by kraeuter). kraeuter committed rMITK4c7684e60a9a: Checks for no exception after computing statistics (authored by kraeuter). kraeuter committed rMITK3435598751b5: Checks for no exceptions in VerifyStatistics (authored by kraeuter). kraeuter committed rMITKce48f96ec50d: Changed double and unsigned long to fit stay adaptive (authored by kraeuter). kraeuter committed rMITKcb623b8c8c75: Fixed small issues with test cases, added function GeneratePlanarPolygon (authored by kraeuter). kraeuter committed rMITKa456c97939bf: Deleted unnecassary code, rewrote verify statistics, fixed accuracy of test… (authored by kraeuter). kraeuter committed rMITK15ac863f87a9: Merge branch 'T23104-deprecateQmitkPlotWidget' into T25697… (authored by kraeuter). kraeuter committed rMITK5fc1c2f37287: Removed debugging checks (authored by kraeuter). kraeuter committed rMITK5d7e4d9c965e: Deleted unnecessary comments (authored by kraeuter). kraeuter added a comment to T25697: Optimization of MitkImageStatisticsCalculatorTest. kraeuter committed rMD78ed7b1c98da: Changed .dcm to .nrrd for a faster run time (authored by kraeuter). kraeuter triaged T26098: Histogram Statistics need to be tested as Normal priority. kraeuter committed rMITK1a950d476c7a: Merge branch 'T26013-DefineGroundTruth' into T23104-deprecateQmitkPlotWidget (authored by kraeuter). kraeuter committed rMITK32526204d074: Merge branch 'T26012-DefineTestCases' into T23104-deprecateQmitkPlotWidget (authored by kraeuter). kraeuter committed rMITK00a434a8fe2c: Merge branch 'T26011-UpdateTestingMacros' into T23104-deprecateQmitkPlotWidget (authored by kraeuter). kraeuter committed rMITKbc76dfb205ef: Rewrote error messages (authored by kraeuter). kraeuter committed rMITK34286740107e: Added DEPRECATED keyword and forwarded to QmitkChartWidget (authored by kraeuter). kraeuter added a comment to T23104: Deprecate QmitkPlotWidget. kraeuter committed rMITK88e28d843e1b: Changed test cases (authored by kraeuter). kraeuter added a comment to T26012: Define test cases. kraeuter closed T26009: Find smaller images for MitkImageStatisticsCalculatorTest as Resolved. kraeuter closed T26009: Find smaller images for MitkImageStatisticsCalculatorTest, a subtask of T25697: Optimization of MitkImageStatisticsCalculatorTest, as Resolved. kraeuter claimed T26009: Find smaller images for MitkImageStatisticsCalculatorTest. kraeuter committed rMITKf3f34df49551: Fixed comment (authored by kraeuter). kraeuter committed rMITK2f1b5a3e7be0: Changed data and values accordingly (authored by kraeuter). kraeuter committed rMDec5c135cf822: Added new testdata (authored by kraeuter). kraeuter committed rMITK1939f8bf90a0: Changed data and values accordingly (authored by kraeuter). kraeuter committed rMITK0cb304df5ccb: Commented histogramm specific values (authored by kraeuter). kraeuter committed rMITK5a562de574a6: Rewrote the StatisticsCalcTest, inserted some calculated data (authored by kraeuter). kraeuter committed rMITK4be633af9753: Merge branch 'T26010-RelocateSetUpFunctions' into T25697… (authored by kraeuter). kraeuter committed rMITK88053d303a95: Deleted unneccessary comments (authored by kraeuter). kraeuter committed rMITK886be9e12e92: Wrote SetUp code directly into test funtions (authored by kraeuter). kraeuter committed rMITKd31d1454bb31: Reverted to start (authored by kraeuter). kraeuter added a comment to T26013: Define ground truth. kraeuter edited parent tasks for T26072: Color doesn´t work on anything but Line, added: T23104: Deprecate QmitkPlotWidget; removed: T26071: Title option into global options. kraeuter added a subtask for T23104: Deprecate QmitkPlotWidget: T26072: Color doesn´t work on anything but Line. kraeuter removed a subtask for T26071: Title option into global options: T26072: Color doesn´t work on anything but Line. kraeuter edited parent tasks for T26071: Title option into global options, added: T23104: Deprecate QmitkPlotWidget; removed: T26070: Stacked Data ignores set chart type. kraeuter added a subtask for T23104: Deprecate QmitkPlotWidget: T26071: Title option into global options. kraeuter removed a subtask for T26070: Stacked Data ignores set chart type: T26071: Title option into global options. kraeuter edited parent tasks for T26070: Stacked Data ignores set chart type, added: T23104: Deprecate QmitkPlotWidget; removed: T26069: Logarithmic axis scaling display problems. kraeuter added a subtask for T23104: Deprecate QmitkPlotWidget: T26070: Stacked Data ignores set chart type. kraeuter removed a subtask for T26069: Logarithmic axis scaling display problems: T26070: Stacked Data ignores set chart type. kraeuter triaged T26072: Color doesn´t work on anything but Line as Normal priority. kraeuter triaged T26071: Title option into global options as Normal priority. kraeuter triaged T26070: Stacked Data ignores set chart type as Normal priority. kraeuter triaged T26069: Logarithmic axis scaling display problems as Normal priority. I`m trying to understand how everything is calculated and having created 3x3 pixel test images I can calculate the ground truth by hand. So far no problems, but after calculating I like to check if my numbers and the ones in the GUI are at least somewhat similiar. 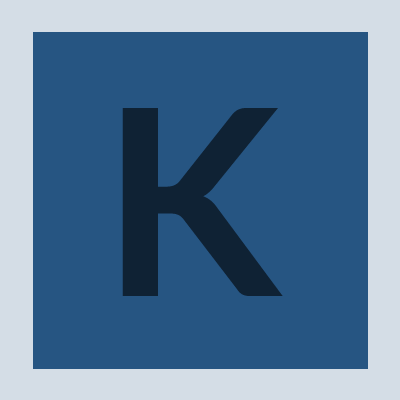 kraeuter added a comment to T26011: Update TestingMacros. I read through the logs after testing and the tests now fail completely when on of the conditions isn´t met. I compared the testing logs with the master and noticed, that the fails existed before but the test didn´t notify accordingly. kraeuter added a comment to T26009: Find smaller images for MitkImageStatisticsCalculatorTest. kraeuter committed rMITK452b7e8c70ea: Replaced old macros (authored by kraeuter). kraeuter committed rMITK4afd8d750062: Slowly remove setup and teardown function (authored by kraeuter). kraeuter triaged T26013: Define ground truth as Normal priority. kraeuter triaged T26012: Define test cases as Normal priority. kraeuter triaged T26011: Update TestingMacros as Normal priority.